Summer is a great time to be in the garden with shady trees, warm glows, bright greens and pretty flowers. 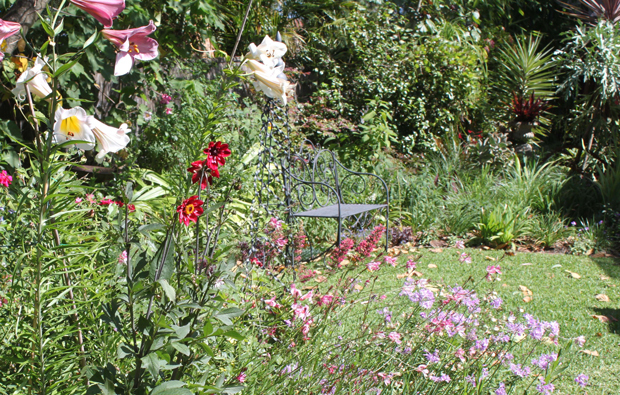 And what better way to experience summer gardens than to pop in to someone else's garden during summer and to admire their wonderful handiwork over the previous winter and spring. 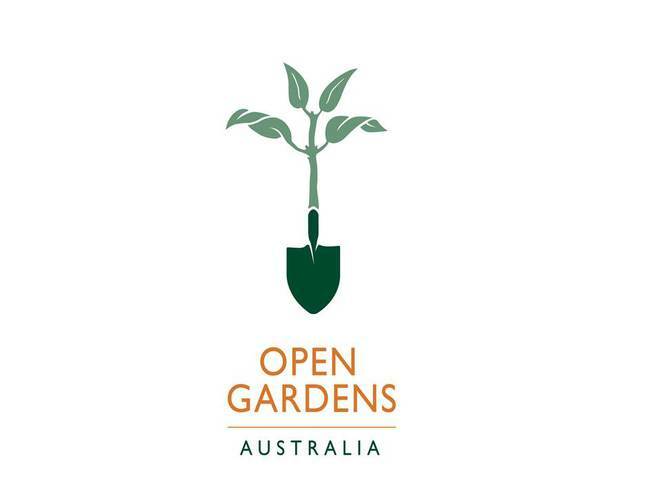 Open Gardens Australia, for the last time, have arranged for 11 gardens across the greater Sydney area to be open during this slightly extended summer. 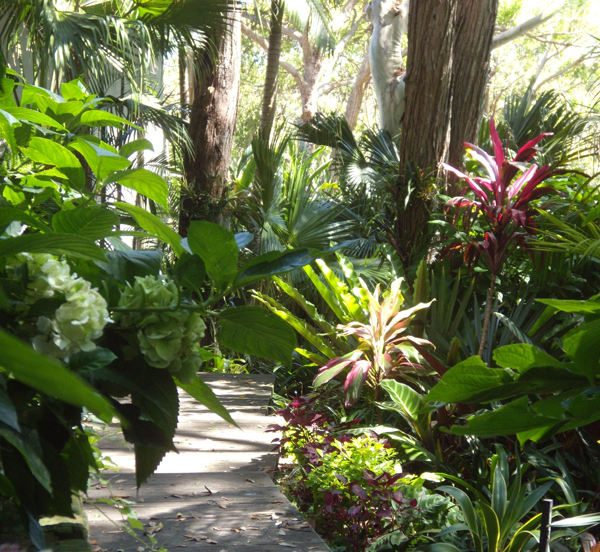 A beautiful tropical garden where shape from frangipanis, brugmansias and palms provide shelter for an understorey of colourful foliage and different leaf textures. 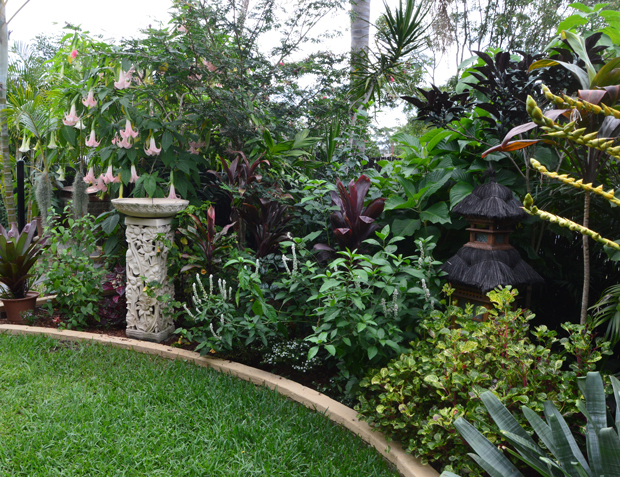 Also features many rare and unusual tropical plants, Balinese lanterns, statues and birdbaths. Starting from a bare backyard six years, the owners at Stony Ridge have created an oasis. Thriving groupings of roses, lavenders and perennials in full summer glory supplement the apple, pear and fig trees and surround the circular herb garden, native shrubs and grasses. Well worth the drive for a visit. The outstanding Ewenton House features a lush exotic foliage garden overlooking Sydney Harbor. Victorian period plants including palms and African species are a speciality and complement the grand historic house. Terraces are planted with red, blue and shell gingers, bananas, strelitzias, cordylines, yuccas, daylilies and yellow clivias. 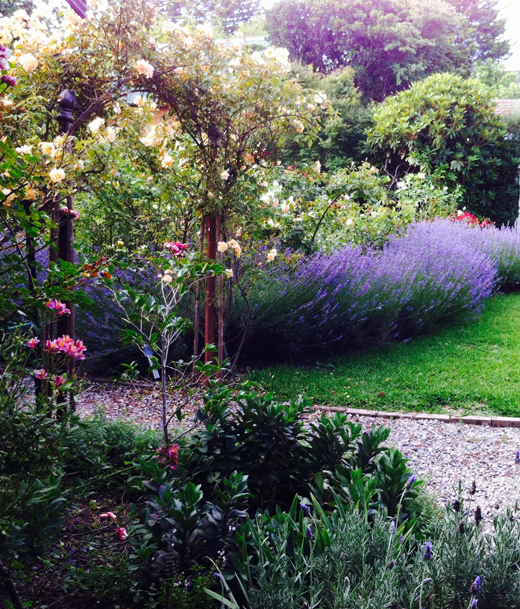 And on Sunday at noon, author and landscape designer Myles Baldwin will speak on how to grow a Sydney garden. 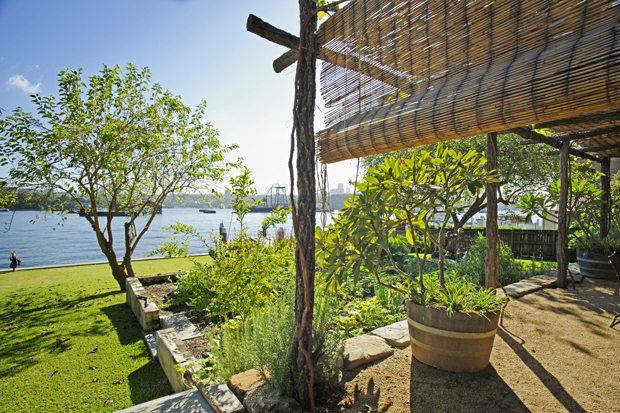 The large garden surrounding the restored grand Italianate Victorian villa of Wyoming is terraced down to the harbour. There are mature American oak, large frangipanis, hibiscus, bamboo and blue ginger sheltering crinums, clivias and succulents. 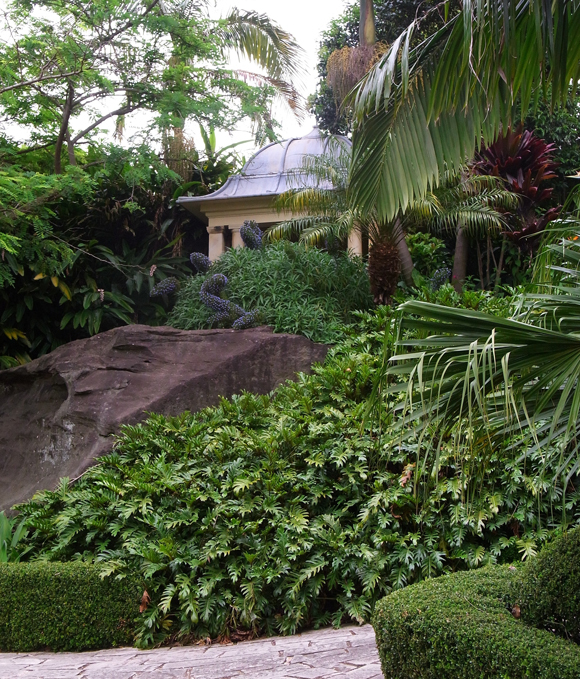 The garden features a pond with water lilies, lotus and papyrus as well as a cactus garden and restored orchid house. At 2.30pm each day, noted historian and conservation consultant James Broadbent will speak about the design of the garden and about garden design for old houses. An Australian rainforest garden of towering trees shelters an understorey of over 70 varieties of bromeliads and a range of subtropical plants including ferns. 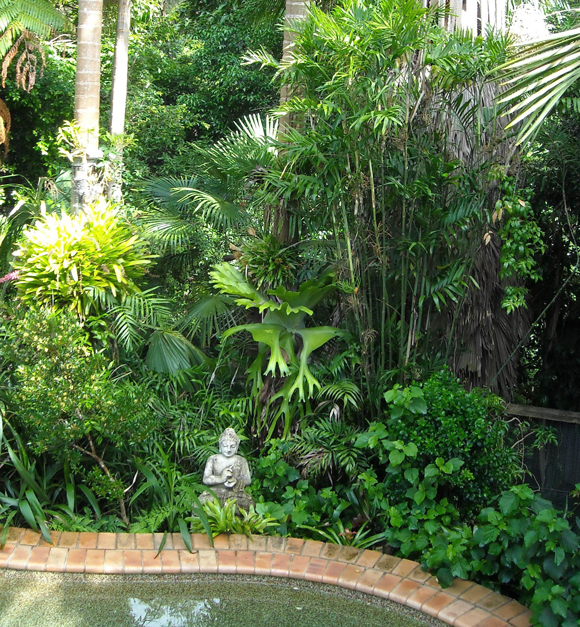 There is also over 100 species of Australian rainforest plants including palms, red cedar, lemon myrtle, cycads and kauri pine in this tropical suburban garden backing on to a creek. A towering copper beech and other deciduous trees shelter the established garden surrounding a 1940s house. The shrubberies are punctuated by red, silver and yellow foliage with the roses, azaleas and dogwoods being the highlights. Focal points are also provided by the urns and statues throughout the garden. Laurel and cypress hedges enclose some beautiful autumn colouring nyssas, liquidambars, maples and oaks which are shading the two artists' studios. 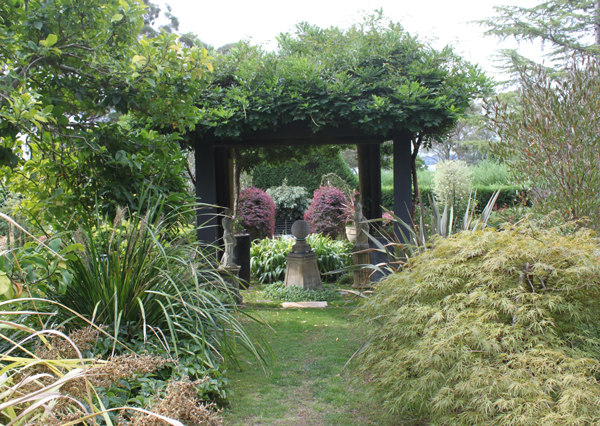 A sculpture trail features contemporary steel works as well as traditional garden ornamentation amongst the hedged vegetable garden and a stone walled orchard. A semi-formal meandering garden is sympathetic to an early 1950s house surrounded by sandstone terracing. Grand century-old Cedrus deodara and a lovely collection of Japanese maples feature along an agapanthus lined walkway. Some small inground fish ponds and an attractive vegetable garden provide a natural balance. A cleverly landscaped steep south facing block has been planned with aspect in mind with succulents thriving in the sun at the top of the garden, and a tropical outlook at the bottom with tall native trees sheltering thriving bromeliads, cordylines and orchids. Beneath a huge Brush Box tree, a path winds past a weeping mulberry, grasses and perennials. The lawns and paved areas are surrounded by the wide, sunny beds overflowing with cottage-style plantings and creating a glorious oasis of flowers all year round. A collection of dry-climate species in an informal Mediterranean setting around sandstone outcrops is a surprise in this Blue Mountains garden. 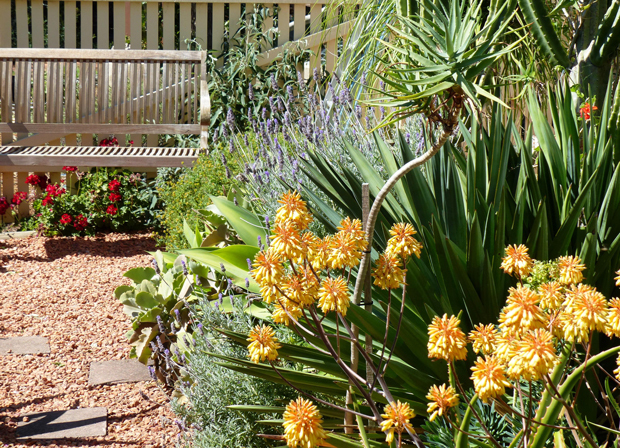 There are rare species of South African aloes, euphorbias and Canary Island and Chilean flora, which are all softened by dahlias, salvias, cistus and grasses. All gardens are open from 10am to 430pm everyday. All gardens have a token entrance fee of $8 to help cover costs with the exception of Ewenton House and Wyoming where the entrance fee is $10. 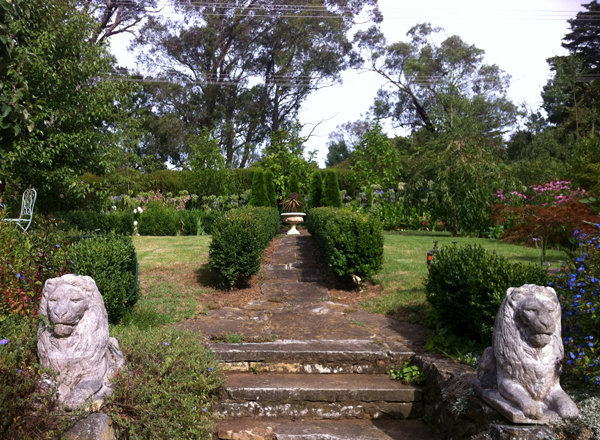 Open Gardens Australia have recently advised that as a result of rising costs and falling revenues, Open Gardens Australia will cease to exist with effect from 30 June 2015 and hence these will be the last summer gardens on show – it is time to get in to these top gardens for a piece of history. For further details refer to the Open Gardens Australia website or their facebook page. 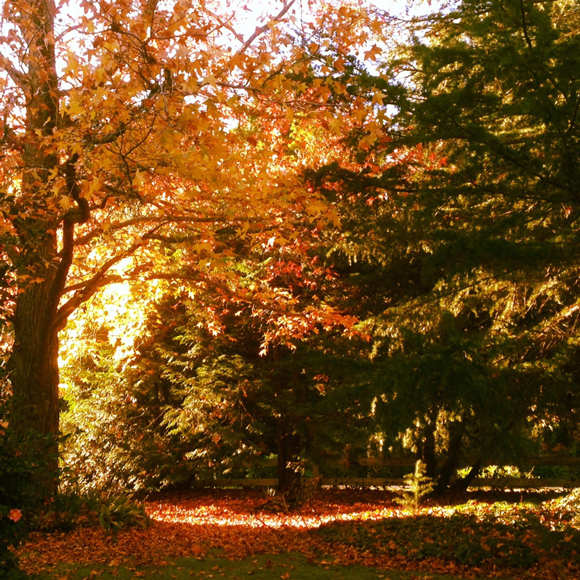 There are certainly some beautiful places to sit and admire in these gardens.